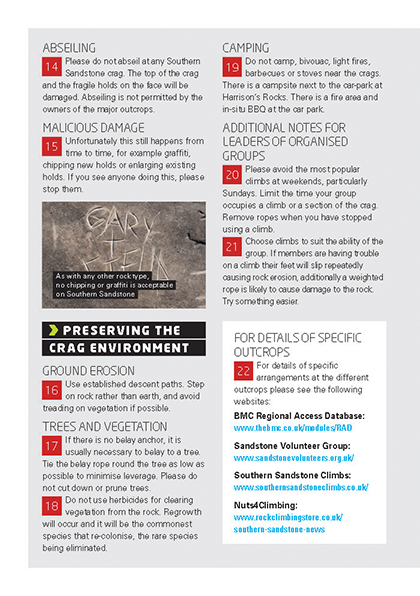 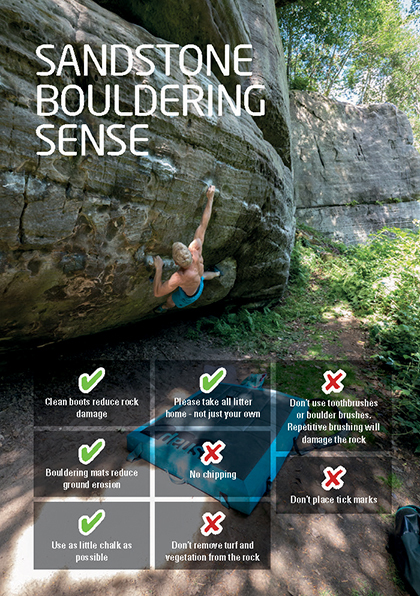 The BMC and HRMG have just launched a newly revised version of the Sandstone Code of Practice, it also incorporates the new Sandstone Bouldering Sense. 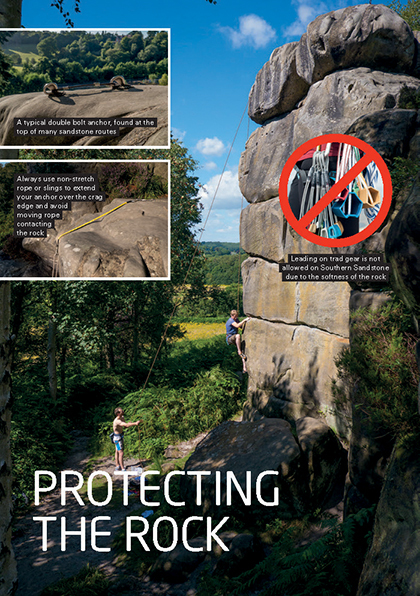 Given the soft nature of the southern sandstone rock, rules are in place to protect it for all to enjoy. 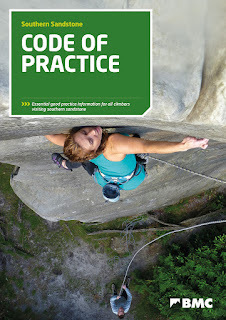 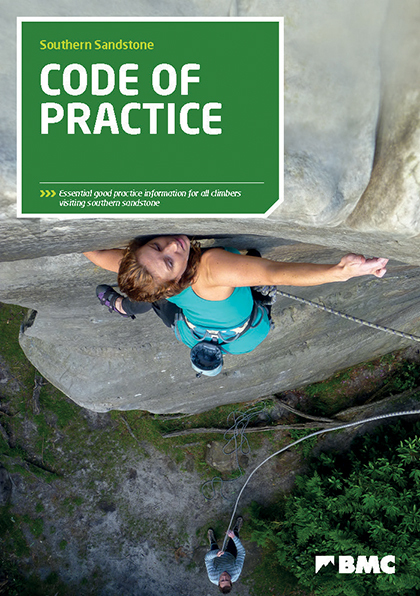 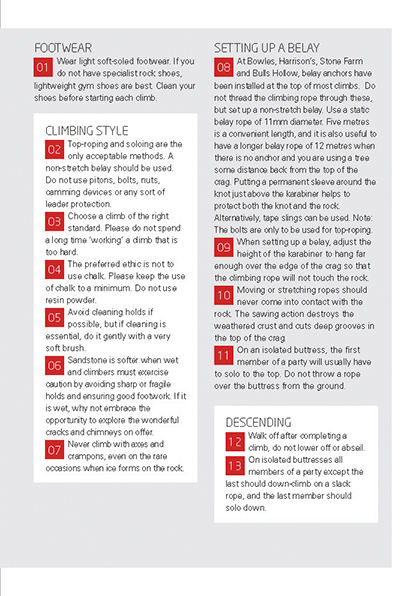 The new Code of Practice has a modern style with photo illustrations and includes clear colour photography illustrating how to set up ropes on sandstone and the do's and don'ts of climbing practice, including the ban on boulder brushes and toothbrushes. 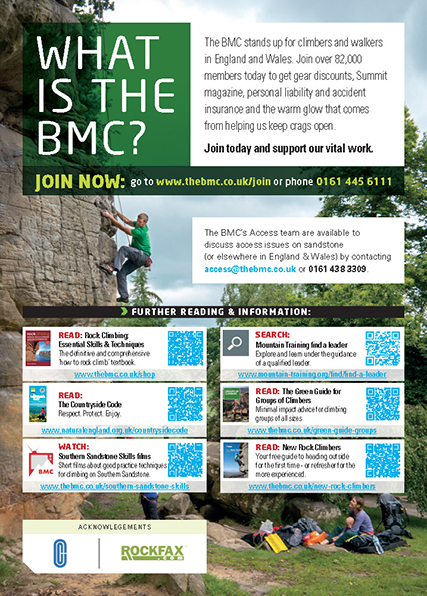 The PDF version can be downloaded from either the BMC website or our Code of Practice page. 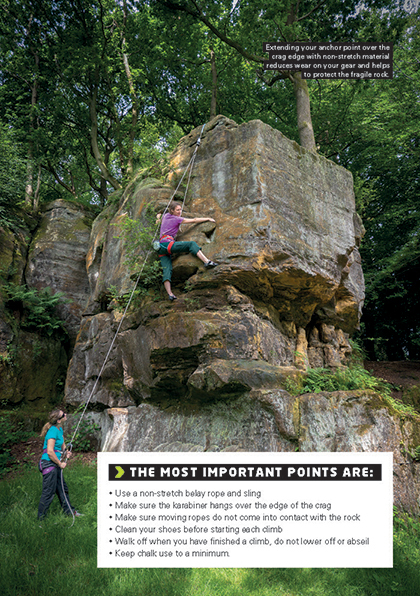 Most local climbing walls in the area will have them in printed booklet form also. 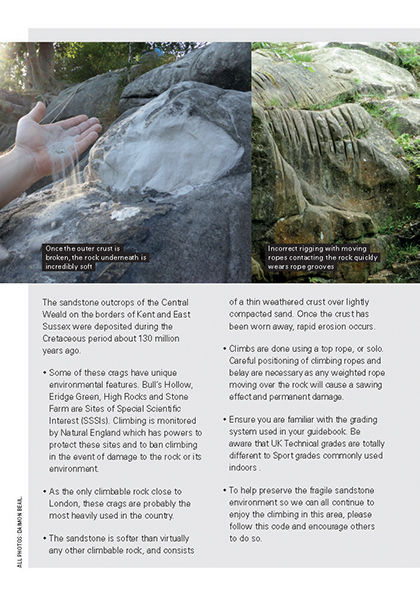 Feel free to hand them out or share with anyone who you think will benefit from reading it.